Well this is the second time this year that I have run over something with the ST and ruined a tire. I am on a ride now and about an hour from home and I detected the telltale shimmy of a broken belt or extra weight in the rear tire. 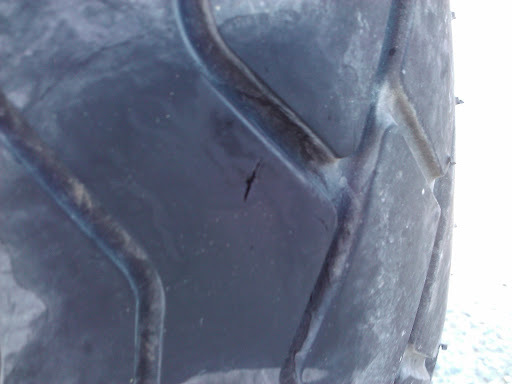 A new tire is already on order. The first time this happened to me I was in Quebec. I had to stop for the night and go to a tire shop in the morning in Riviere du Loup. Amazingly, they had my correct size and tire in stock. 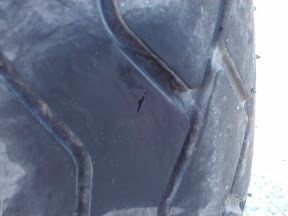 The Bridgestone Exedra G548. I'll nurse it home from here at low speed, but I won't like it. 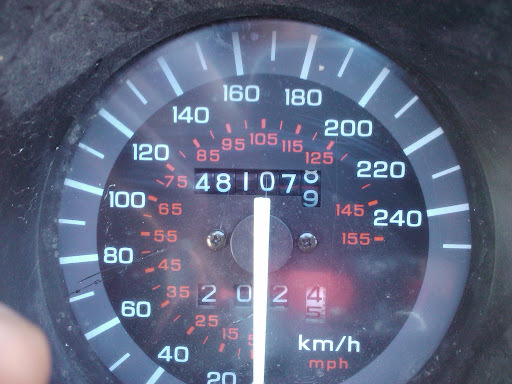 Here is a photo of the current mileage. Ooops, I got home and took off the tire preparing to bring it in, then checked the wheel bearings. Well the vibration I am feeling is likely the wheel bearings as it turns out. The right side isn't nice and smooth. They are on order.